I have read some books by Robin Lee Hatcher in the past and she is a pretty good author. I decided to read and review Who I Am with You because I thought that the story sounded interesting. This book tells the story of a pregnant woman who lost her husband and young daughter in a car accident. This woman is hiding away from the world when she suddenly gains a new neighbor on her quiet street. The man next door butts into her life, while dealing with problems of his own, and a friendship grows between the two of them. I think that those who enjoy all kinds of love stories will find that this one is interesting and unique and one that they will enjoy reading. I felt like I really got to know the characters in this book. This book kept my attention and is well written. There is a hopeful message to this book. The story in this book is unique. I felt like this book could have used a little more heart, a little deeper of a story. 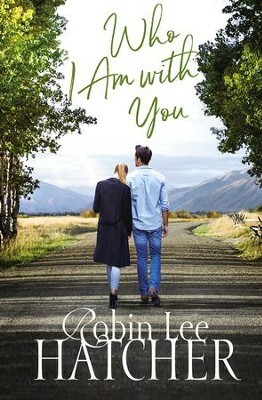 I give Who I Am with You 4 out of 5 stars.